KEW Engg & Mfg Pvt. Ltd. superior manufacturer of different type of Rubber Roller. Various type of Rubber Roller like P U Roller, Ebonite Rollers, Hypalon Roller with high quality rubber material. Also, other Rollers and Rolls like Guide Roll, Metal Roll, Brush Roller with different size and width depending on your machine. Industry specific Rubber Rollers for Flexible Packaging, Paper, Film, Textile and many more. Rubber Roller Manufacturer like Industrial Roller, Printing Roller, and Textile Roller. 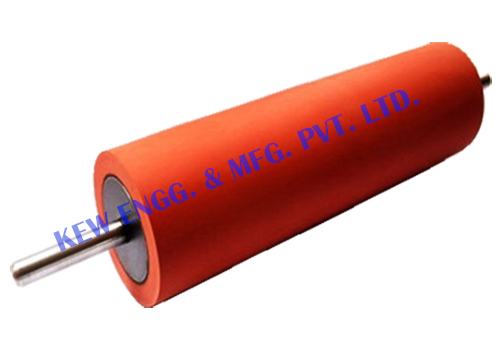 We have been specializing as Rubber Roller Manufacturer and supplier from last 25 years. Heavy duty and high quality Rubber Rollers per your custom requirements and application.